Durability, excellent color rendition, and high power are signatures of the Cineray Series LED900 Bi-Color LED Panel from Dracast. Using an array of 480 LEDs with a CRI greater than 96, this panel will deliver a phenomenal output of light with a beam angle of 45°. This version also features a bi-color design, allowing users to quickly adjust the color temperature from 3200-5600K in order to best match with the other light sources. Power output can be controlled from 0-100% via on-board controls and the panel is equipped with a V-mount battery plate for working with readily available 14.8 VDC packs. For mounting, a standard yoke with 5/8" receiver is installed on the fixture. The LED900 sports a durable aluminum construction and comes with a universal 110-240 VAC power supply for mains power. 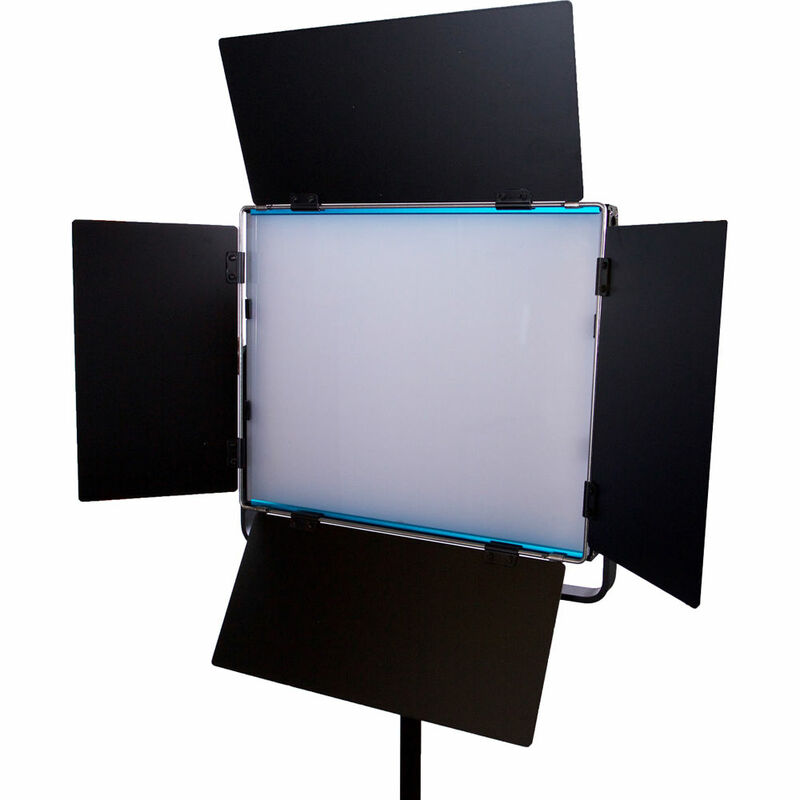 Additionally, it comes with barndoors, a soft diffusion filter and a soft nylon carrying case. Box Dimensions (LxWxH) 18.2 x 17.9 x 6.4"
What is the lumens intensity for the Dracast Cineray Series LED900 Bi-Color? Here are the numbers we have now: . . .THREE FEET: 3200K=2695 lux / 250 fc --- 4400K=4907 Lux / 456 fc --- 5600K=3079 lux / 286 fc -- -- -- SIX FEET: 3200K=748 lux / 69 fc --- 4400K=1593 lux / 148 fc --- 5600K=856 lux / 80 fc -- -- -- NINE FEET: 3200K=379 lux / 35 fc --- 4400K=801 lux / 74 fc --- 5600K=429 lux / 40 fc -- -- -- TWELVE FEET: 3200K=237 lux / 22 fc --- 4400K=488 lux / 45 fc --- 5600K=257 lux / 24 fc. . . . Also, if you have any other technical or product related questions, feel free to contact us directly at any time at info@dracobroadcast.com.